Our aim is to make it easy for you to bank with us, so we’ve provided some further information and useful tips to help you below. Setting up a Post Office® Cash Account card. This will require you to assign a Post Office® convenient to you. You can withdraw cash from your account by setting up an encashment facility at your local NatWest (England and Wales), RBS (Scotland) or Ulster Bank (Northern Ireland) branch. Please allow five working days for initial set up. Charges may apply. Please note that UNITY TRUST BANK must be in capitals as shown, and the address must be on one line. Cheques are sent directly to our clearing centre to prevent any delay in getting the funds into your account. You can also pay in cheques at your local NatWest (England and Wales), RBS (Scotland) or Ulster Bank (Northern Ireland) branch with a paying in slip. Charges may apply for this service. From 30 April 2018 we are making changes to reflect the introduction of a new Image Clearing System for cheques and credits, introduced by Cheque & Credit Clearing Company. This is a new way of clearing cheques across the UK that allows banks to clear a digital image of a cheque, rather than the original paper cheque. This means cheques will be processed more quickly – the Image Clearing System will speed up the time it takes to clear a cheque, meaning funds will be available faster. Day 0 You pay the cheque into your account. Day 1 You’ll start earning credit interest (if payable) on the amount of the cheque. The money is available for you to use. Should the bank or building society subsequently receive an instruction not to pay the cheque, they’ll explain the reason to you. After 23:59 the bank or building society of the person making the payment to you can’t reclaim the payment (unless fraud is suspected). If a Sterling cheque is paid into your account after 3.30pm on a business day or on a non-business day, the “Image Clearing” process will begin on the next business day. Internet Banking and electronic payments are still the most convenient method of payment – while this change will speed up the process of clearing cheques, electronic payment is still a faster method of making a payment. Posted cheques No cut off time. Subject to Royal Mail delivery. Funds take 3 working days to clear from receipt. Cheques or cash paid into Account over a bank’s counter 2pm (some banks may vary). If paid in before 2pm, funds available 3 working days after its been paid in. Four working days after 2pm. Cheques paid in via image clearing As above. Funds available 2 working days after paid in. We recommend that you retain copies of all cheques paid in, in the event of a query. Unity Trust Bank has no control over the processes within your nominated branch, which may affect these timescales. Post Office Cash Account Card (POCA) – paying-in cash only Subject to Post Office opening times. Funds available up to 2 working days after paid in. CHAPS, Faster Payments & International Payments CHAPS received by 4.30pm, funds received same day. If it’s after 4:30pm funds received next working day. Faster Payment received by 6.30pm, funds received same day. If it’s after 6.30pm funds received next working day. International payments received by 4.30pm, funds received same day. If it’s after 4:30pm funds received next working day. (Timings are subject to regulatory checks based on country origination). Automated Bacs Payment Same day debit/credit. Foreign cheques Negotiation cheque – up to 10 working days after paid in. Collection cheque – up to 8 weeks after paid in. Cashed Cheques (you withdraw cash at another bank counter using your Encashment Facility) 2pm (some banks may vary). If the cheque is cashed before 2pm, funds will leave your account 3 working days. Four working days if after 2pm. Unity Trust Bank has no control over the processes within your nominated branch, which may affect these timescales. Issued Cheques Funds debited 3 working days once paid in. Funds debited next working day if imaged. Bill Payments via letter or internet banking As above. *CHAPS, Faster Payments & International Payments Written CHAPS request received by 2.30pm, sent same day. If it’s after 2:30pm sent next working day. Written Faster Payment request received by 2.30pm sent same day. If it’s after 2.30pm sent next working day. Internet Faster Payment request received by 3pm sent same day. If it’s after 3pm sent next working day. International payments instruction received by 12pm sent same day. If it’s after 12pm sent next working day. Future Dated Payments Chosen Processing Date subject to CHAPS, Faster Payments & International Payments Timescales above. Standing Orders via Letter or Internet Banking As above for Faster Payments (Written and Internet). Direct Debits No cut off. Payment debited as agreed with DD originator. Unity e-Payment If sent before 4.30pm funds available to beneficiary 2 working days. After 4.30pm funds available to beneficiary 3 working days. Internal Transfer via Phone, letter or internet 5pm on day of receipt. If you wish to make changes such as adding or removing a signatory, setting up or changing your Internet Banking access and amending the details on your account, you can do this by simply completing the relevant form. These can be found here. We understand that you may need to open additional accounts, if all the details and signatories are the same, please complete a new account application form. You may need to close your Unity account, in order to do this you will need to fill in an account closure form, which can be found here. Telephone banking fraud, or ‘vishing’, is becoming increasingly commonplace. This is where fraudsters do not actually scam their victims online, but use the telephone in an attempt to trick them into disclosing information or completing certain actions that could result in financial loss. It is very important to keep your passwords and bank details private, so please be cautious when taking phone calls. If you receive a call from someone claiming to be from Unity Trust Bank, and think it might be a scam, then it is important that you report it to us so that we can investigate on your behalf. We have put together a leaflet to assist you in putting in place the internal controls to assess, prevent and detect the risk of your organisation being affected by fraud. 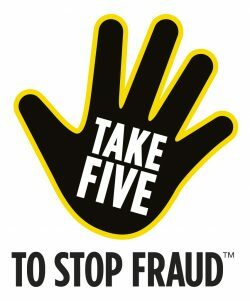 Download the leaflet for more information – Fraud Awareness. For customers who choose to produce your own, personalised stationery (paying-in books, cheque books etc. ), we recommend that you ask your agency/printer which format they would prefer to use and then download the appropriate file from this dedicated page.